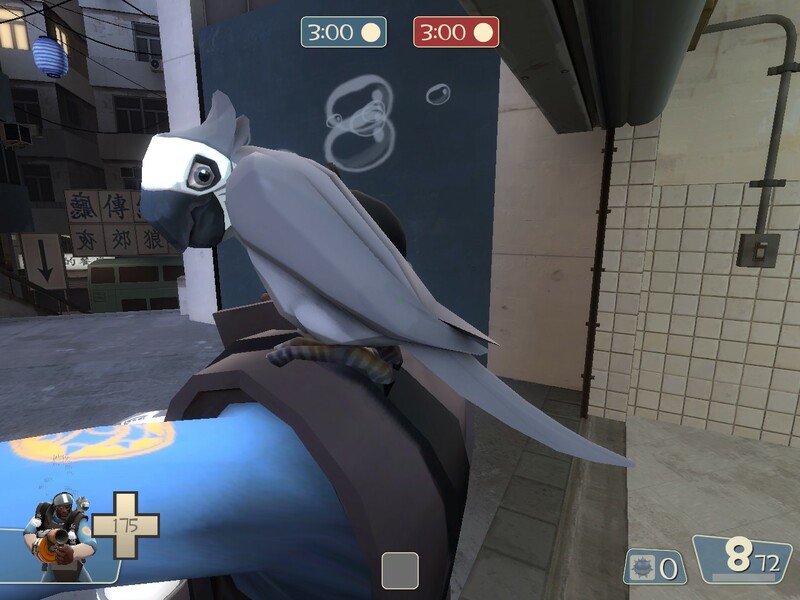 As a proud and longtime owner of Giddeon the parrot in Team Fortress 2, I was super excited to see Ana’s new pirate skin in the 2017 Halloween event. Much like I was able to port my beloved swarm of flies into Payday 2 with the Plague Doctor mask, I could now run with a feathery friend in another one of my favorite shooters! 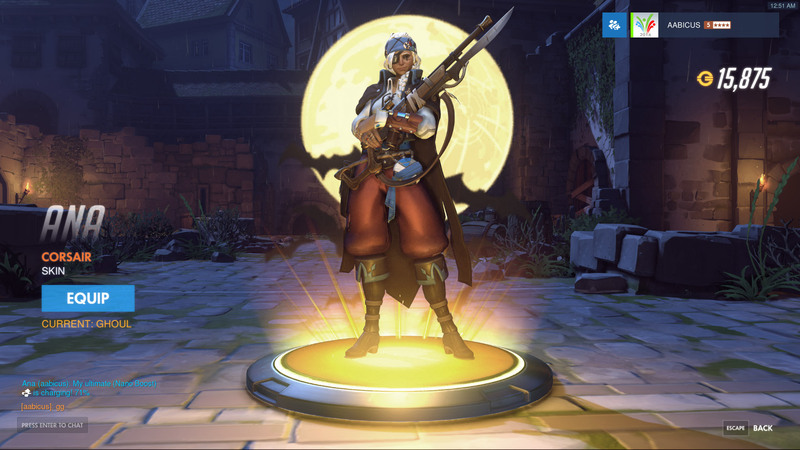 Luckily I have a policy of buying skins at the end of the event, in case it drops out of a lootbox, because that meant I saw this reddit thread before wasting 3000 coins. The parrot doesn’t even appear in game! It appears in a single victory pose (the default one) and other than that her bird practically doesn’t exist. No victory poses, no highlight intros… forgive me for sounding overly dramatic, but I feel like this basically amounts to false advertising. 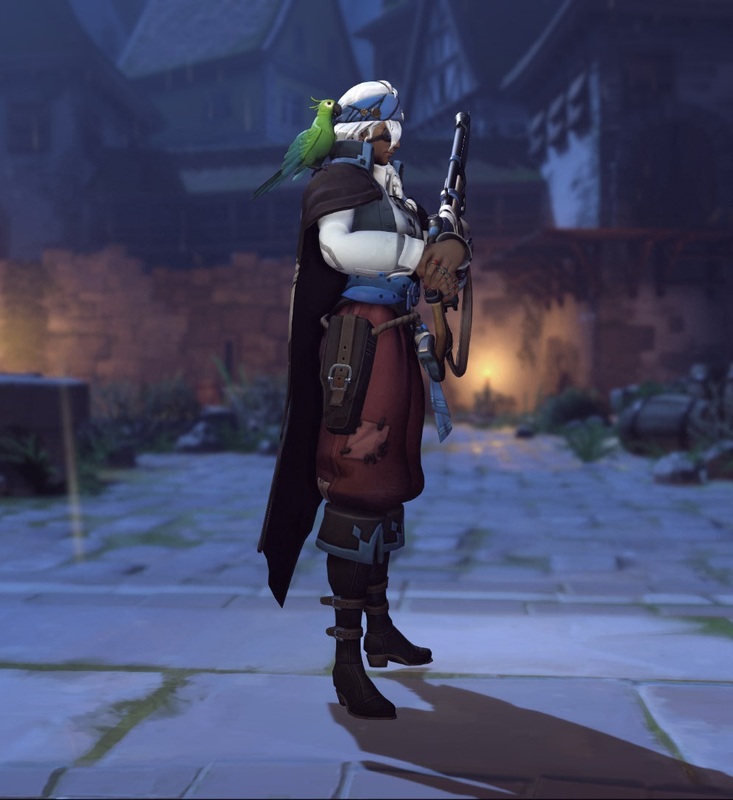 I’m clearly not the only one who was going to buy this skin mostly because of the bird (though that bayoneted rifle is admittedly pretty sweet). Some people on reddit have pointed out that Bastion similarly has a bird in his pose, and said bird doesn’t appear in-game, but you can discover that after playing a single round with the default skin. With Ana, there are no clues whatsoever that the parrot goes AWOL immediately after purchase. Interestingly, the parrot does not appear on the model when obtained via loot box. I wonder if something happened in the background to cause this discrepancy, such as Blizzard management forcing the artists to remove the bird due to screwing with hitboxes. I admit that it could be considered an unfair detriment to Snipers, of the sort that TF2 has in spades, and the artists tried to compromise by only having it appear in a very minor way. But in that case, the parrot needs to be removed in the skin window, so that people don’t think it’s going to be there when they buy it. Alternately, give it more appearances in the side cosmetics, like the victory poses, highlight intros, and Main menu. I suspect they didn’t want to go through and add it individually to all those various items, since it probably uses unique joints in the mesh’s skeleton, but I hope they go through and add it individually. And I’m just gonna keep making this face until they do. Also, speaking of the argument against including it because of hitboxes, the devs have broken that rule with several other cosmetics. Sombrero Reaper and tribal-mask Doomfist being two particularly egregious examples that come to mind. I know it’s not a super fair argument to say “Look, they broke the rules here, so why not break them here?” but consistency is important when people’s hard-earned credits are on the line. Blizzard recently changed the way lootboxes reward duplicates, and the change severely lowered the amount of credits people can earn if they don’t shell out for extra lootboxes with real money, so 3000 credits can be a huge dent in somebody’s wallet. They deserve to be happy with their purchase, and as that reddit thread shows, right now people aren’t. Next Next post: Blizzcon 2017 Announcements!